Sophie Warner is an experienced sports therapist with a background in performance sport. She has previously worked for England Netball and with leading Super League Netball franchise, Team Bath. More recently, Sophie has worked within the CrossFit community to help elite athletes achieve their goals and reach their performance potential by paying closer attention to their recovery and rehabilitation programmes. 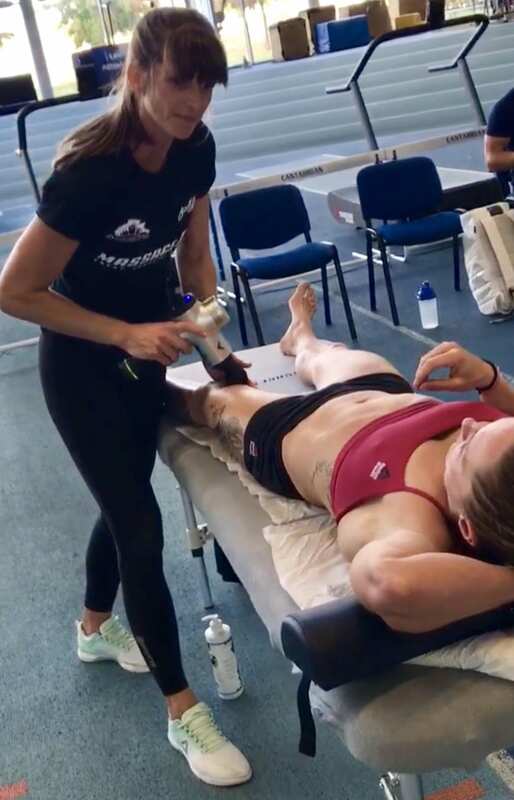 In recent years, Sophie’s work with MassageRX at CrossFit and Functional Fitness events in a competition setting has demonstrated the importance of having the very best tools and technologies at her disposal. 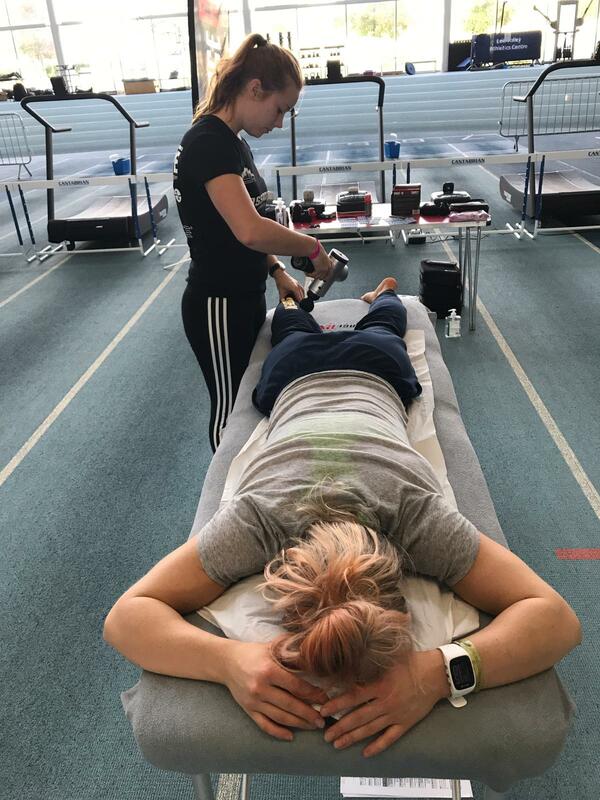 At throwdowns around the country the MassageRX team come under immense pressure to treat and turn around battered and bruised athletes looking to recover between intense workouts over the course of a day or weekend. “The design quality is exceptional. My previous experience of using percussive vibration massagers had been with clunky, heavy, very loud industrial implements that are just not suited for use in a clinical setting – or on a hectic competition floor for that matter. So to find something that has the amount of power as the Hypervolt, that’s portable and quiet was a breakthrough for me. “I’ve found that it’s particularly good on the upper trapezius and shoulders; it allows me to work deeper into tissues by reducing the hypertonicity of the muscles. 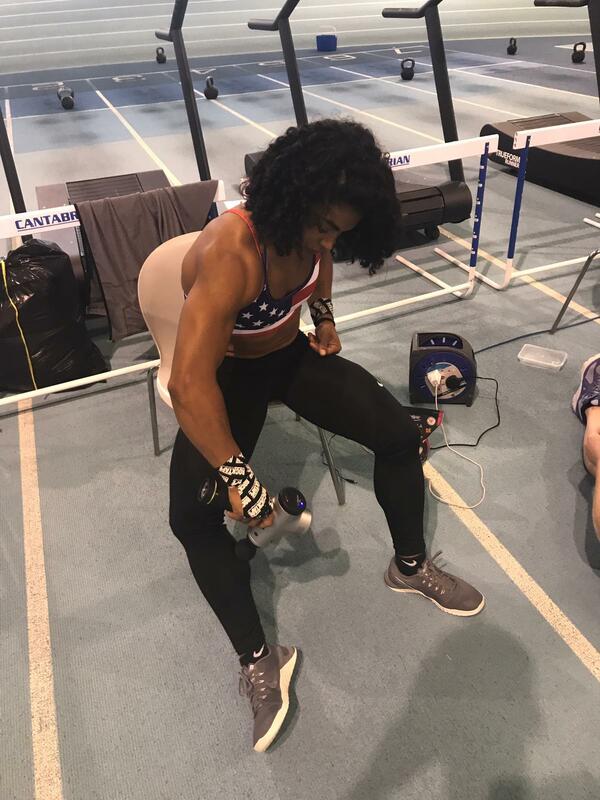 Equally, it’s unrivalled for flushing out larger areas – such as legs after a heavy workout when an athlete needs to return to the competition floor in a short space of time. “One of the things I’ve noticed over the years, both with elite athletes and your average gym-goers, is that getting people to apply themselves to proper recovery programmes and techniques is actually far harder than getting them to exercise in the first place. Yet paying attention to prehab, rehab and simple rest can actually be crucial in achieving performance gains. “That’s where some of the new technologies coming into the market can be particularly helpful. Not only are devices like the Hypervolt effective in the hands of qualified therapists; they can also supplement the work done on the treatment table and help athletes to improve recovery in the comfort of their own home. Want to find out more about the Hypervolt vibration massage device? Click here.